Fall is here and so are the fabulous beauty trends we were looking forward to trying after seeing them on the runways during last year’s New York Fashion Week. 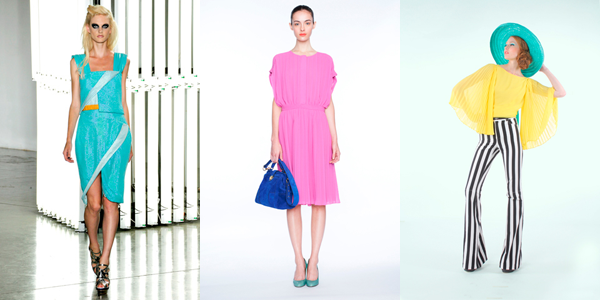 Colors range from bold statements to subdued feminine looks. Take a look and tell us which is your favorite! Jenny Packham (L) and Herchcovitch;Alexandre (R) gave us a beautiful neutral color palette during their fall 2011 runway shows. The colors of nests, twigs, hay and rope inspired an organic color card of whites and beiges for barely there skin care formulas and discreet make-up. An inner beauty for any age. L.A.M.B. 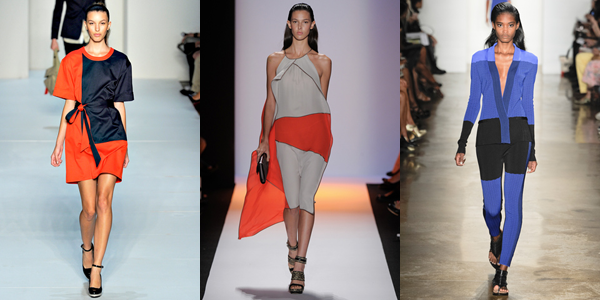 (L) and Narciso Rodriguez (R) presented the coziest of colors during their fall 2011 runway shows. 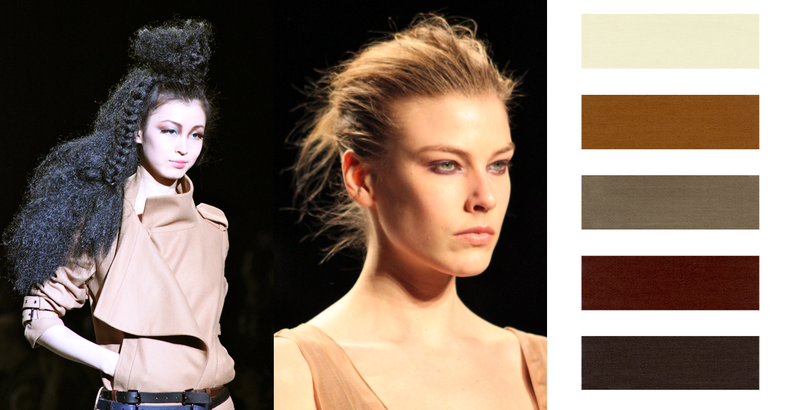 Birds of the forest inspired a color card of medium muted naturals beiges, brick and browns to celebrate the fall. Make-up will focus this season particularly on the eye, round in powdered applications or smudged circles. 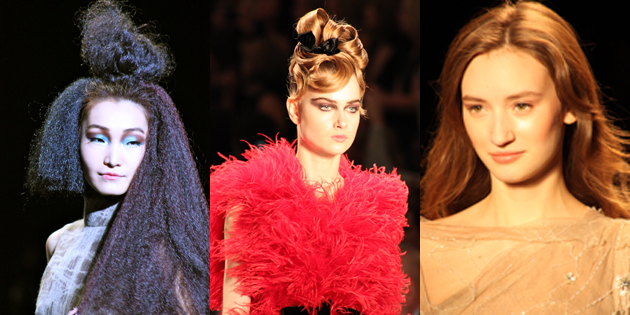 Toni Francesc’s (L) and Farah Angsana’s (R) fall 2011 runway shows brought us back in time. Heavily textured and profoundly RED, lipsticks from the 1950’s will make the glamorous comeback to the red carpets of the world. 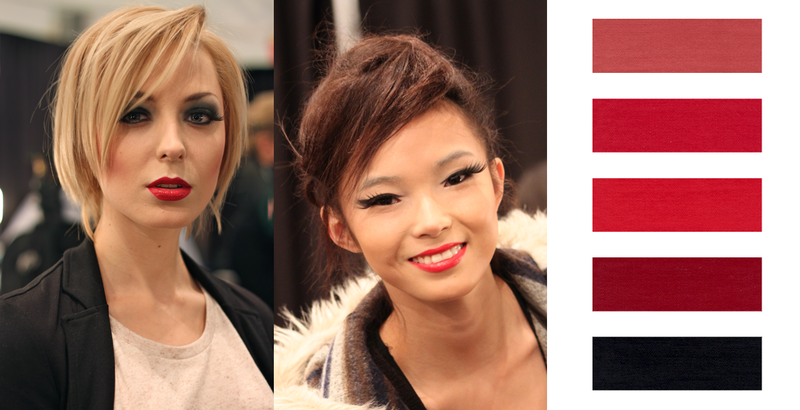 Red is the accent color of the moment, perfectly adding crimson to our extremities: lips, nails and lashes. 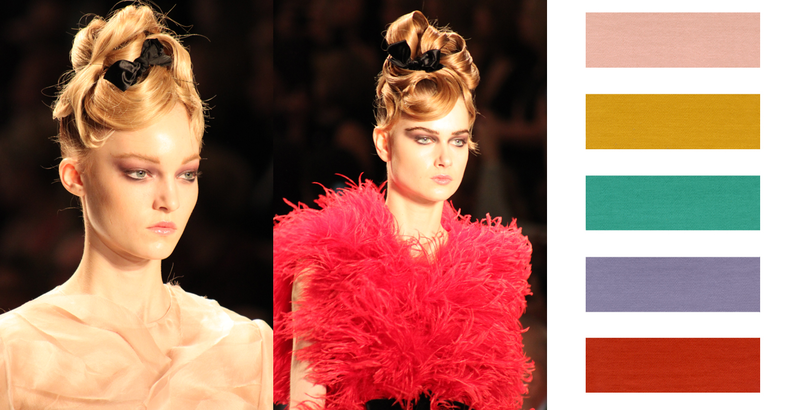 The fall 2011 runway show for Monique L’huillier brought feminine back in the sexiest colors! Pastel tones are enhanced with gold shades. Fringes will adorn hair and beauty accessories, frilly pinks and purples will flutter in decorative packaging, powdery fragrances will create a high seduction for the roaring 20’s of this millennium. 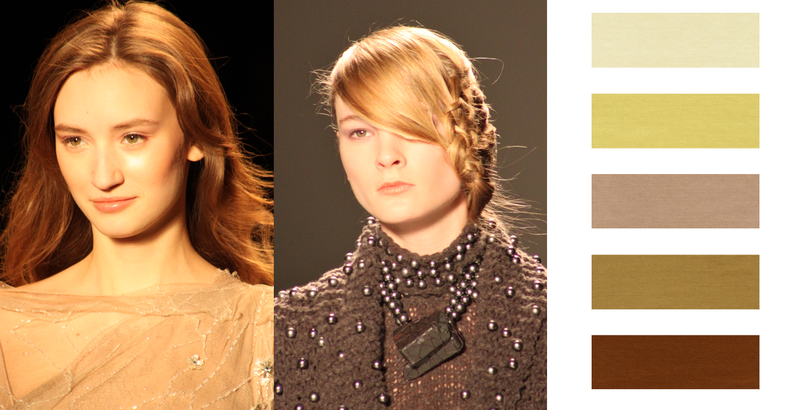 L.A.M.B’s fall 2011 runway show wasn’t all about being cozy (see color trend above). An ultra-black raven inky color card creates a gothic sense of excitement for our cosmetics. 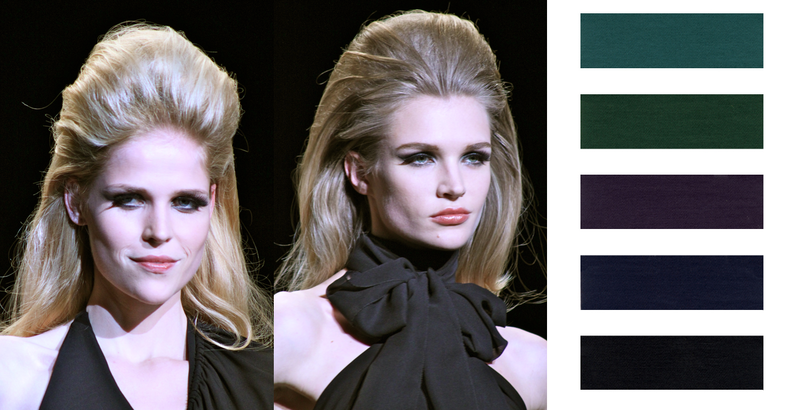 High-brow blacks are saturated with deep purple, navy, green and burgundy. Lacquered or charcoal-like make-up calls for this lady to effortlessly flatter evening wardrobes. 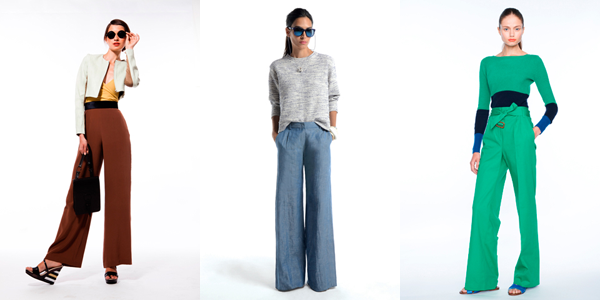 L.A.M.B also presented different tones of grey for the urban-chic chick. This color card will show all sort of medium greys from concrete to metal, with accents of blues, purples, greens iridescent like pigeons feathers. Matte or slightly metallic, brushed, polished, these aspects match a girl’s city mood and digital devices for a very slick contemporary look. NUMBER:Lab, one of Shop My Label’s brand partners, presented their spring/summer 2012 collection during NY Fashion Week at the Standard Hotel’s Highline Room. The collection featured what can easily be a complete spring wardrobe, featuring fun basics with an edgy twist and light outerwear like textured sports jackets. Guys it’s time to get those gams into shape. 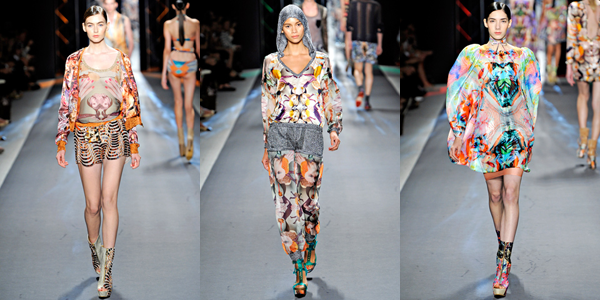 As popularly seen now during Milan Fashion Week, shorts are all the rage for casual and evening-wear. Love the collection? Then you’ll love being a Shop My Label shopkeeper. Have you requested an invite? SML, is only accessed by a select few, with an invitation. 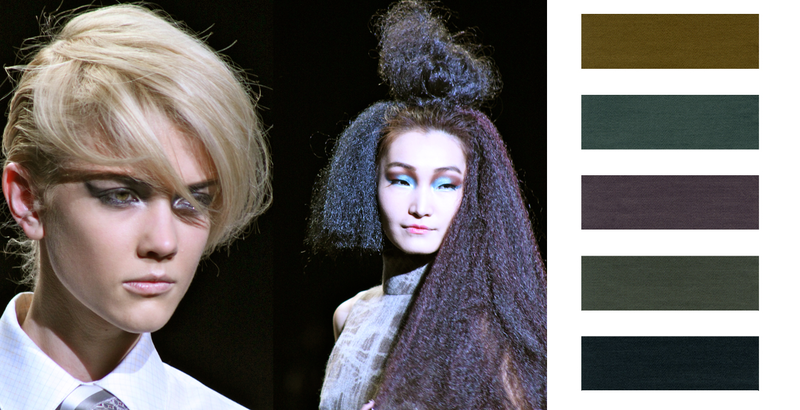 Here’s a look at the sketch inspiration behind one of the looks from the Ruffian Spring 2012 and the final product–runway ready. It must be an amazing feeling for a designer to see what they started off with as only a vision and then see the resulting design. 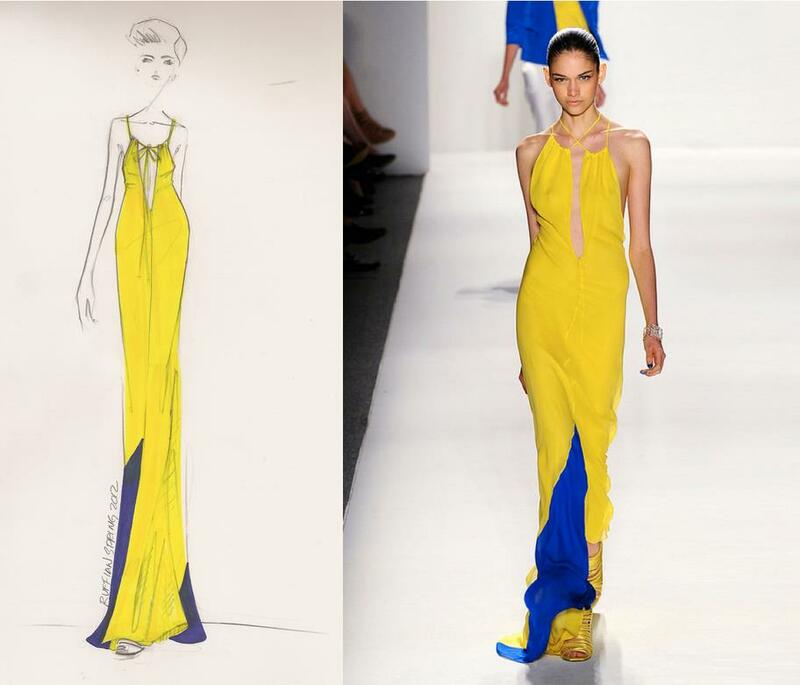 We love this bold dress which combines two trends seen over the Spring 2011 season–color-blocking and the maxi style dress. So if you happen to go on a maxi dress shopping spree over the summer like I did, then you’ve got a fab head start to your next summer’s wardrobe. If not? Then I’d hit up all of those end of summer sales and clearance sections at your favorite shops, they are loaded with maxi dresses. 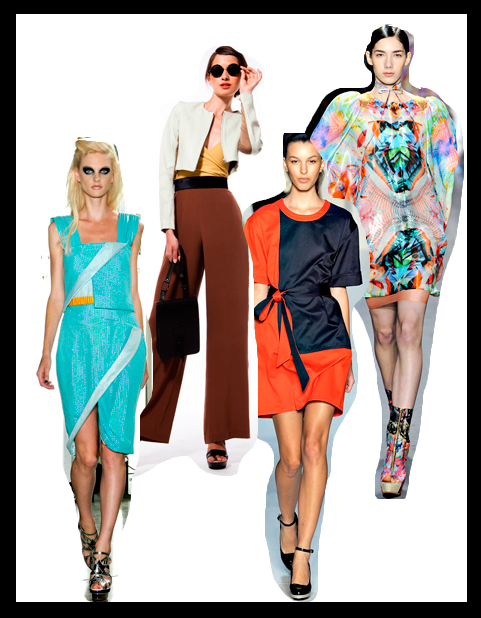 Here are a few more looks from the Ruffian Spring 2012 collection which was presented during New York Fashion Week with a front row packed with celebs like Rose McGowan, Amanda Setton, Carrie Preston, Lorenzo Martone, and Steven Kolb. Ruffian collaborated with Vince Camuto, one of our brand partners, to design their first shoe collection. Which is your favorite look? Tell us, we’d love to know. Here’s a great excuse to diddle-daddle at work! 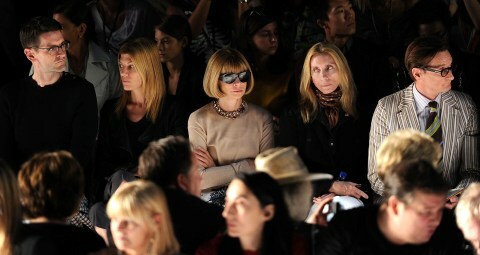 We’ve compiled a huge (probably the biggest) collection of front row images taken during New York Fashion Week. The party’s over (officially), now it’s time to dab into which celebrities went where, the faces they made, the boredom they encountered, and the texts they sent….all while sitting front row. We’ve selected a few of our stand-out favorites, but below you will find a slideshow chuck full 0’lovely images that will surely keep you entertained for a while. 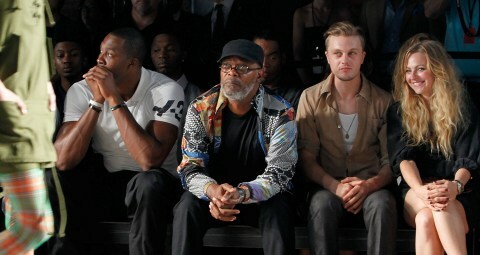 Mercedes-Benz Fashion Week is slowly coming to end. In fact, tomorrow is the official last day. Sooo, before it’s all over, we wanted to give you an fabulous sneak peak at what inside the famous tents looks like. You’ll find a few snapshots of celebrities lounging in the Mercedes-Benz Star Lounge which received a beautiful face-lift from interior designer, Wesley Cadle. From Gladys Perint Palmer illustrations to Christian Le Croix patterns, this lounge was all glam. Make sure to catch the shots of Anna Wintour (believe or not, without shades), Beyonce sporting her baby bump, the dainty chocolate truffles, and a divine starburst designed wall decor. Mercedes-Benz Fashion Week practically took over New York City for the past week while featuring over 99 designers and playing host to thousands of fashion insiders–so you can imagine a Star Lounge pretty packed with beautiful people and fun treats.